ESET NOD32 Smart Security Family is the complete security pack for your devices to make them protected and secure. 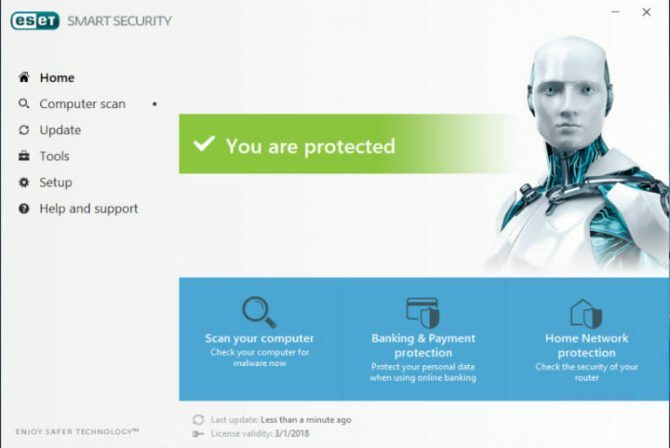 This comprehensive security solution is supported on multiple platforms that include Windows, Mac, and Linux Operating Systems, As ESET NOD32 is a complete security suite, it has been divided into different modules or parts to give your machines strong defense against any viruses, attacks, and malware. If you want to use ESET NOD32 free, you may use it up to three months, as ESET is giving three months free license. A single user can avail only one free license. 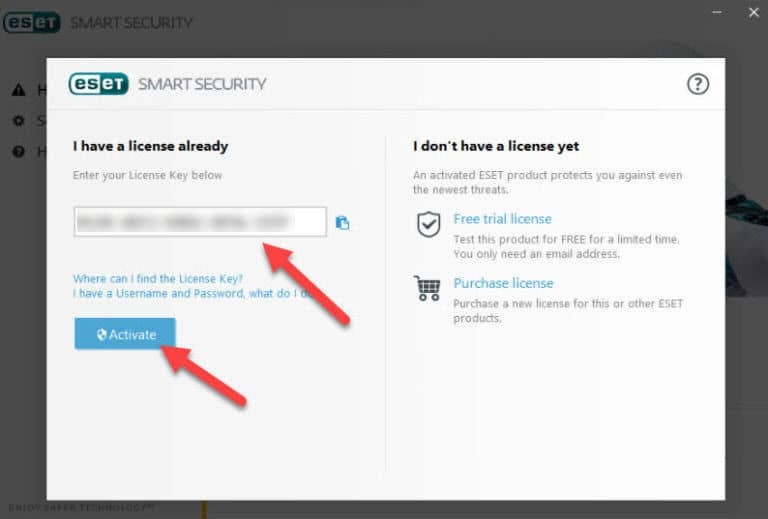 I have added easy steps to get its free license and enjoy three months free Smart Security Family for your machines. The four main sections of ESET NOD32 Smart Security are Anti-Spam, Anti-Terror, Anti-Phishing, and Parental Control. Anti-Spam module filters out the spam contents, and spam emails. These spam contents won’t be able to reach to your machine for any unwanted event. Anti-Phishing module protects your data and checks on any suspicious links and prevents any unauthorized access. The Anti-Terror module helps you in tracking and monitoring of your device if your machine gets lost or gets stolen. This feature makes you able to get your machine back. Parental Control module puts restrictions on the use of machine and internet for children for good. You can easily control which content can be accessed by children. It also serves by providing you many other features. You can shop and bank easily as it protects your every payment and transaction. Any internet attacks cannot enter your system with Smart Security advanced firewall features. Your sensitive and important data will be saved by any attackers and hackers. ESET NOD32 Smart Security Family blocks any unwanted and spam contents, emails, calls, and messages. Your child will be redirected to safe and healthy sites. All viruses, malware, trojans, ransomware will stay away from your machine when your system is having ESET NOD32 Smart Security Family. To get the ESET NOD32 Smart Security Family’s three months free license, you have to go with below easy steps. The first thing, you have to fill a questionnaire. For this, go to this webpage. After filling all the fields, click on the button “Send and receive a gift”, to receive the Smart Security Family suite as a gift. You will receive a username, password, license key, and downloading link on the email address which you entered in the questionnaire. Complete the downloading, and enter the Key when it is asked by the setup to activate the product. 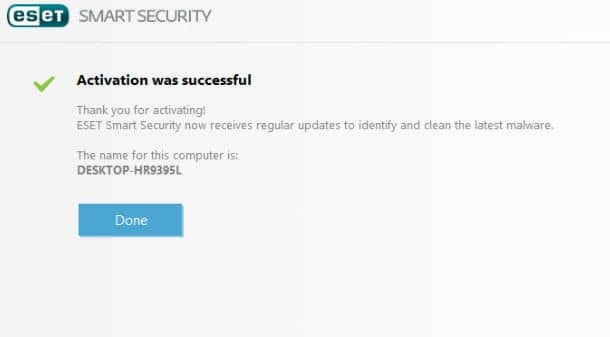 When you enter the key, your ESET NOD32 Smart Security Family suite will be activated for three months. You can use it’s all features because the complete version will be activated on your system. You can use this security suite on Windows XP and later versions of Windows, MacOS, Android 2.3, and Linux Desktop 2.6. 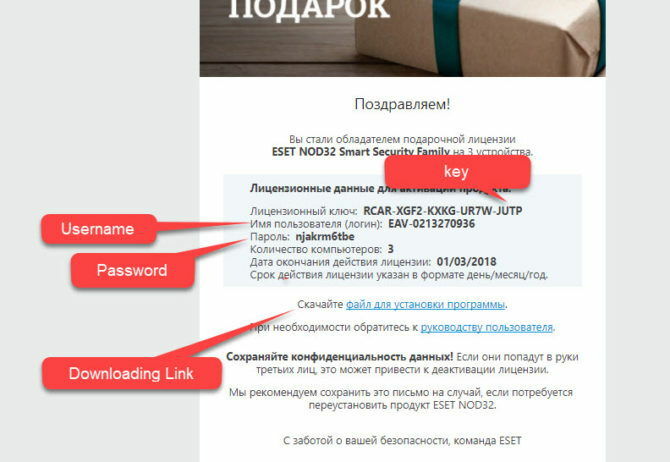 This is for limited time offer, that is basically for a survey to improve products and services for ESET by user reviews and feedback, Normally, ESET NOD32 Smart Security Family suite costs $34.